Minor update 156027 has been released! - Enabled screenshot hotkeys for the Map Editor. It will save a JPG (HOTKEY: Prt Scr) or BMP (HOTKEY: ctrl + Prt Scr) image file to "Documents\Empire Earth II\screenshots" or "Documents\Empire Earth II The Art of Supremacy\screenshots" directory. - Fixed desktop screen resolution detection on Windows 10, when display scaling is different than 100%. (The Launcher is now PER_MONITOR_DPI_AWARE). - Changed the location of some of temporary files (cookies) used by UP1.5 Launcher to prevent issues with missing settings after the Temp folder is cleared (for example Support Chat nickname save). - Updated DirectX 9 (DX8 to DX9 converter) to improve performance. Nice Work. Very good, that i can make now screenshots in the editor. Hi! After updating to windows 10 April 2018 update, the game doesn't launch anymore (just black screen flashing). What can be the problem? Have you tried to use all Maximization Helper solutions? Do you mean that only Solution 3 solved the issue? Theoretically a single use of Solution 1 / Solution 2 should fix the problem. Minor update 156028 has been released! - Fixed a game bug (present since ver. 1.0) which always resetted the "AI Map Type" settings to "Plains" when a scenario file (.scn) was loaded (by the Main Menu, Campaign Menu or Map Editor). It fixed a bug where AI players didn't build docks and ships in custom scenarios. - Fixed a bug where Ambulances rotated wheels and played engine sound during healing. - Integrated e24ever's "Hell Hole - Escape from Hell" campaign with the EE2 "Single Player" -> "Play Campaign" menu. Thanks to Loewenherz for preparing files. - Added 5 new splash screen images to the UP1.5 Launcher. - It's now possible to skip the empireearth2:// and empireearth2aos:// protocols re-registration in the UP1.5 Launcher (when protocols are already registered but link to a different game location). 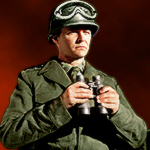 Optional Minor update 156029 has been released! - Improved the Launcher window scaling on Windows 10 1607 and newer (noticeable when using 4k screen resolution). The Launcher is now PER_MONITOR_DPI_AWARE only on Windows 8.1 to Windows 10 1511 and DPI_AWARE on Windows Vista/7. DPI Awareness is required for the correct screen resolution detection. - Minor text fixes in the Launcher (for example Solution 1 tooltip). The launcher won't display notifications about this update, except "Optional Update" button on top.